Before learning how to cook beef, one must learn some facts about meat; how to judge quality when buying, how to properly store once it is purchased, which cuts are tender and which are tougher and finally, how to cook the different cuts of beef to get the most in flavor and nutrition. Meat is the most costly item on our grocery list for most of us so it is important to be well informed on what you are buying to get the most for our dollars. It is Painless Cooking when you can buy a good cut of beef on sale. Beef provides us with a greater variety of cuts and more ways of cooking than any other meat, if you are learning how to cook beef. It includes succulent and tender steaks like the porterhouse and T-bone, to juicy roasts and ground beef for the ever popular hamburgers and hundreds of other delicious hamburger recipes. Learn how to make a tender and delicious cube steak recipe. Make delicious rib eye steak dishes. Learn how to make the best hamburgers! 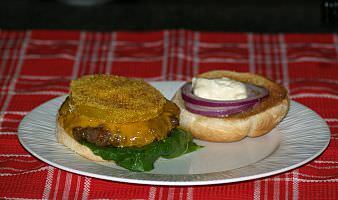 Try my version of the White Castle, fried green tomato burger, a burger made with brie cheese or an Asian inspired burger. 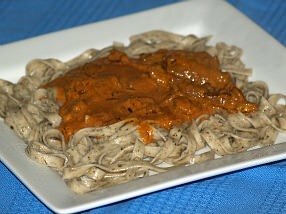 Three Beef Stroganoff Recipes and one recipe for beef stroganoff casserole. 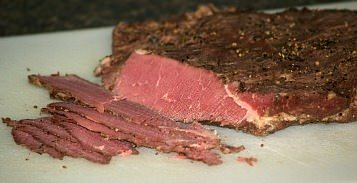 Make delicious corned beef and brisket recipes; recipe for corned beef brisket, apple glazed, Passover and an Irish spiced beef recipe. 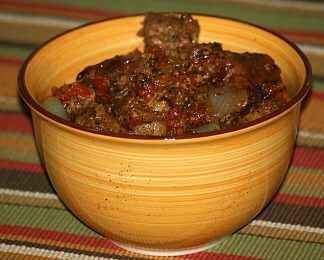 Yummy beef stews with cranberries, a no peek oven recipe and spicy beef and vegetable. Learn how to cook the best steaks matching the best type of steak with the best type of heat. Learn the many steak cuts to know the best ways of cooking them. The best steak marinades and rubs serve as tenderizers as well as flavor enhancers; recipes for steak rub, marinades for tenderizing, for kabobs, a beer marinade and an Italian dressing marinade. 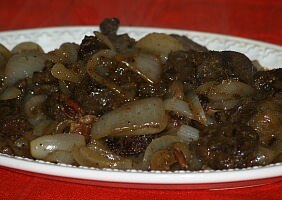 French boeuf bourguignon, hearty beef stew, chuck steak stew and recipe for potato dumplings to go with the stew. Beef and broccoli recipes include stir fries, marinade to enhance the steak flavor, leftover roast beef recipe, beef and noodles and hot pot recipe. 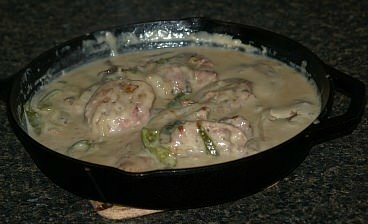 Make the tenderest round steak or Swiss steak; stove top or in oven. 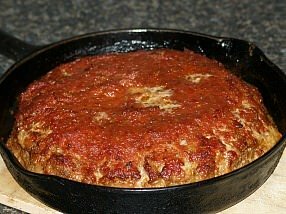 There are many great meatloaf recipes! Try some of my favorites: basic meatloaf, Italian meatloaf, turkey loaf, sweet and sour meatloaf, mushroom stuffed meatloaf, meatloaf stuffed with onions, a zesty meatloaf and surprise meatloaf. 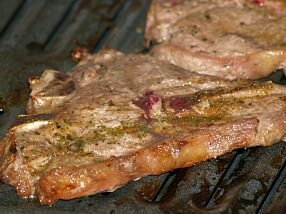 Delicious Sirloin Steaks or tips; in German marinade, Burgundy marinade and with tarragon butter. Popular beef appetizers like meatballs served with barbecue sauce, apricot sauce, horseradish sauce, béarnaise sauce or mustard sauce. Making a roast beef; time and temperature for different cuts with recipe for brown gravy. Traditional roast beef; recipes for elegant standing rib, oven roast, with Yorkshire pudding stove top roast and a vegetable pot roast. 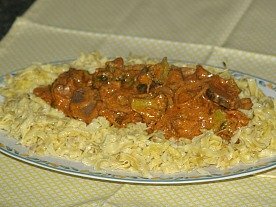 Easy beef dishes; beef stew, hamburger casserole, ragout recipe, Swedish meatballs, barbeque beef ribs and beef tongue. 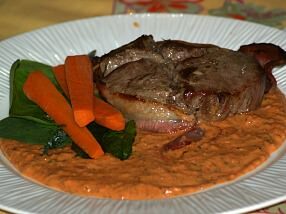 Impressive flank steak recipes in mustard sauce, a South African recipe, stuffed and rolled or Satay in spicy peanut sauce. 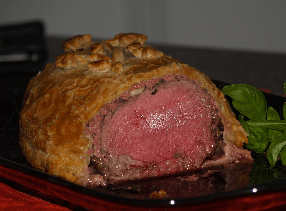 Tasty filet mignon (also called fillets or tenderloin) recipes for beef wellington, fillets with tomato cream sauce, with mustard sauce and with brie and spinach. Slow cooker roast beef recipes; with Coca Cola, with barbeque sauce, prime rib, Dutch oven, Italian roast and shipwreck casserole recipe. Make the best beef liver recipes like liver and onions, chopped liver, broiled, baked fried, skewers, made in a loaf or a liver spread. Learn how to cook the best beef tenderloin recipes. 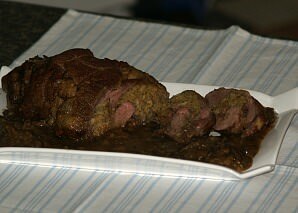 Try boeuf en croute, roasted beef tenderloin, marinated, broiled with mushroom sauce and beef with port walnut stuffing. 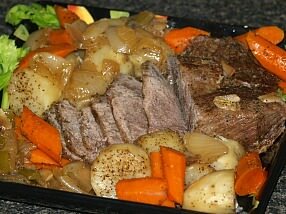 Learn how to make slow cooker pot roast recipes: slow cooker with herbs, slow cooker with potatoes, deviled pot roast, fruited pot roast and pumpernickel pot roast. 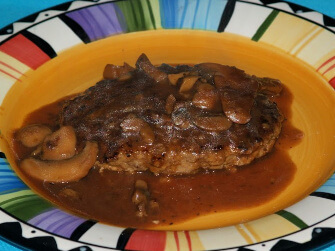 Make tasty hamburger steak recipes: hamburger steak with brown sauce, hamburger steaks with tomato gravy, mock filet mignon, salisbury steaks, hamburger steaks, oriental steak burgers, cheap hamburger steaks, green chili steak burgers, blue cheese burgers, steaks and gravy, grilled teriyaki burgers, salisbury steak, baked burger steaks and hamburger steaks. Beef should have a little fat that is firm and creamy white. Lean meat should be red, well marbled with fat, firm and with a fine grain and velvety. 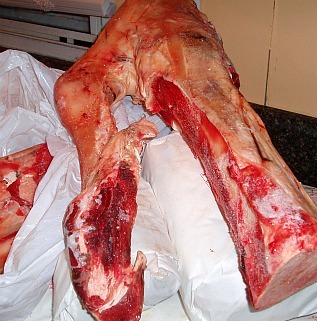 The bones in young beef are porous and red; in older animals they are white and flinty. About half of the weight of beef is water. This meat is considered to have high nutritional value due to the large amount of protein that it contains. 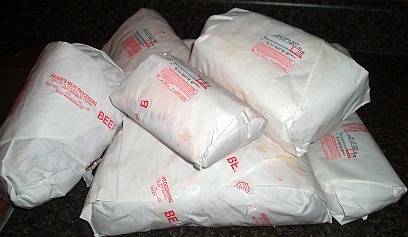 When learning how to cook beef, know that it is possible for cooks to buy their beef from the supermarket in which the beef has been graded. The Federal stamp guarantees the meat to be wholesome, was packaged under sanitary conditions and is accurately labeled, but does not totally tell the quality. Each person who buys beef should be able to tell the quality by the appearance of the meat to secure your money’s worth but also to secure the safety in eating it. Another option for purchasing beef is buying a whole beef or a half beef directly from a farmer or rancher; this is the option that I choose by ordering my beef from Wyoming. I do this for several reasons; first are the health benefits that it offers. The animal is raised organically with no chemicals in the food which it ate. Second, for me, it is also a matter of saving time. I order a half of beef every year to eighteen months. It is shipped on Delta; I pick it up, put it in the freezer and I am set with meat for whenever and whatever needs I have. This truly saves me time! The third point I want to make is that I could never get this quality of beef in the grocery for the money I spend. It is the highest quality of all cuts of the beef and great flavor. Of course, I am always into saving money. The most important point according to Enoch and Malachi, my mastiffs, is that they get huge bones to chew on! The one drawback is that the money has to be put out for all the meat at once, but if you can manage the first time then you can save all year for the next order. In a saucepan, sauté onion in butter until tender. Add the next nine ingredients; bring to a boil. Reduce heat and simmer uncovered for 30 to 40 minutes. Place brisket in a roasting pan and add 3 cups of the sauce. Cover and bake at 350F degrees for 3 hours, basting occasionally. Skim fat and remove brisket to cutting board. 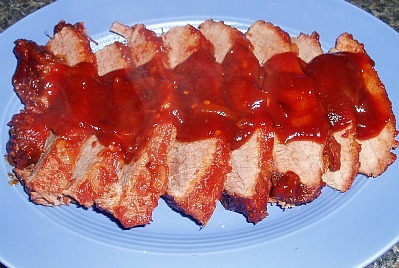 Thinly slice brisket and return to the pan; Add remaining sauce if desired. If you are learning how to cook beef, you must consider how much meat you need. 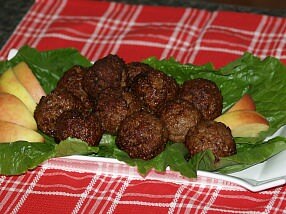 If the meat is boneless, including ground beef or liver, plan on ¼ to 1/3 pound for each serving. Beef with small bones such as round steak allow 1/3 to ½ pound for each serving. For cuts with larger bones like T bone steaks and porterhouse steaks allow ½ to 1 pound for each serving. Most people I know will eat the entire T bone or porterhouse steak even though it will weigh over a pound. Maybe it is the delicious flavor! 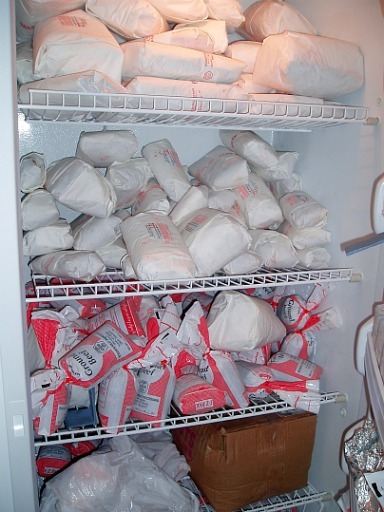 If fresh meat is purchased in the supermarket or butcher shop, storage is very important. If you are learning how to cook beef, improper storage will ruin your final product. 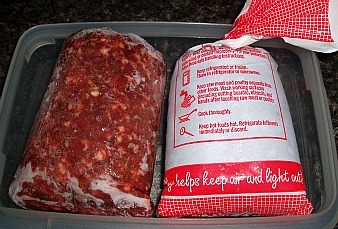 Cover and wrap loosely fresh meat and store it in the coldest part of the refrigerator. If the fresh meat has been prepackaged, loosen the wrapper before storing. It is important for the meat to have proper air circulation to prevent bacteria growth. Most of this meat can be store for 2 to 3 days; ground beef should be used in a day. NOTE: Once any meat I thaw is totally thawed, I make sure to cook it immediately. When freezing beef as I do, good wrapping is essential. I choose to have mine wrapped in plastic first and then in freezer paper. The other essential tip is the temperature of the freezer; it should never be stored above 4F degrees. I credit these two things the reason I can freeze my beef for 18 months and have it taste as good as the day I received it. This temperature can only be achieved by a deep freezer. Of course for short term freezing, up to a few months, the refrigerator freezer will work. When learning how to cook beef, regardless of the method you choose to use, the best results come from cooking on low to moderate heat. There are six basic ways to cook beef; roasting, rotisserie, broiling or grilling, pan broiling, pan frying, braising, boiling and stewing. Learn how to cook beef by roasting in the oven. Generally speaking set oven temperature on 325F degrees to roast. Place fat side up in a shallow open roasting pan. (I lightly rub the pan with oil to make washing the pan easier.) There is no water in the pan or no basting. Place a meat thermometer in the thickest part of the meat making sure it is not touching a bone. Cook until desired doneness. Broiling or Grilling is cooking by direct heat; over charcoal, by gas flame or electric unit. Low temperatures are obtained by the distance from the flame. Fat on steaks should be scored to prevent curling. Seasoning is done after browning. Cook until desired doneness; this meat should be served immediately. 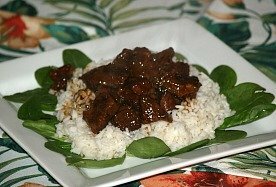 Learn how to cook beef by braising; top of range cooking in a heavy skillet or Dutch oven. Steaks and roasts can be cooked by this method. Brown all sides of meat well with a little fat in the pan. Ad seasonings and a small amount of water. Cover the pan tightly and simmer on low temperature until meat is tender. Learn how to cook beef on a rotisserie and produce deliciously flavored meat. Meat pieces for the rotisserie should be as even all over as possible. Rotisserie cooking is a dry heat and self basting method. Seasoning can be added for additional flavor and color. Cook meat to desired temperature. Stewing or boiling is done in a heavy pan on top of the stove over medium high heat. Coat meat with flour if desired and Brown meat on all sides. For stewing, add just enough liquid to cover the meat. Season, cover and simmer until the meat is fork tender. Add any vegetables long enough before meat is finished cooking to cook the vegetables. 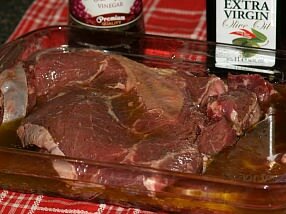 For boiling beef, cover meat totally with liquid, season and bring to a boil. Reduce heat to low and cook until tender. If boiled meat is to be served cold, refrigerate in the liquid for more juiciness. Learn how to cook beef by pan frying. Add a little fat to a skillet Cook over medium low to medium heat turning occasionally to brown on both sides. Cook until done. Do not cover while cooking; it prevents crispness. Pan broiling is used for meats no thicker than 1 inch. Use no more fat than to brush over meat; most meats have enough fat. 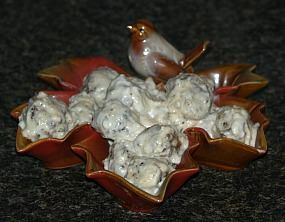 Place in an unheated heavy skillet and cook over medium low to medium heat, turning occasionally. Pour off excess fat so meat does not fry. Brown on both sides. If you learn how to cook beef you must be able to test for doneness. 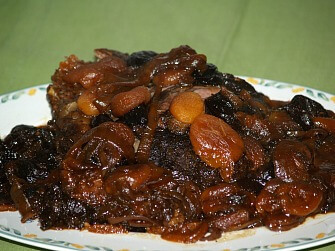 Roast and broiled beef may be cooked rare, medium or well done according to personal taste. Rare beef is cooked to an internal temperature of 140F degrees and is reddish pink inside with an abundance of clear red juice of lighter color. Medium beef is cooked to internal temperature of 160F degrees. 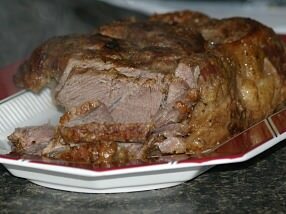 Well done beef is cooked to 170F degrees and is brown color throughout with clear golden juices.